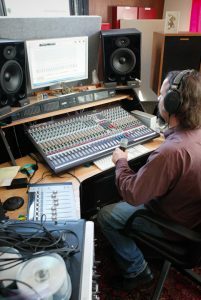 Online mixing taylored to your vision and budget. I offer up-front pricing and risk-free mixing services. I don’t ask for anything i advance. Just send me your session and once I’ve checked it out we can talk price. Once we agree on a budget, I won’t ask for actual payment till you hear short samples of the mix that you are happy with. When I mix hip hop, sometimes I can do justice to a track for $20. Other times I’m discounting when I do it for $100. The $20 includes using really high end plugins to give your hook, verse, and doubling/hype their own unique sonic personalities. The extra time/money comes when I can make your vocals sound more like a seasoned professional. Or make your home recording sound more like a pro studio recording. If you are paying out of pocket, you are most likely thinking “hopefully he can mix me for $20”. But really, it’s the client who sends me a session that I spend more time in who is the big winner. Because if I can keep busy for a few hours making you sound better, and better, and better, you’re going to go crazy when you hear the finished mix. Sometimes it’s about timing, sometimes it’s about pitch. Sometimes it’s about getting a “huge” sound. Sometimes it’s about some crazy effect on your voice that just works perfect with the song. But when there’s something big for me to fix, or improve, its a good thing!